A fact from the World Health Organization: 360 million people worldwide have disabling hearing loss, and 32 million of these are children. That is why more and more schools are realizing the benefits of teaching ASL — American Sign Language. According to the Modern Language Association’s statistics, American Sign Language is the 4th most studied modern/foreign language at colleges and universities in the U.S.
American Sign Language is often regarded as a foreign language. Sign language is a complete, complex language that employs signs made by moving the hands combined with facial expressions and postures of the body. It is the primary language and one of several communication options used by people who are deaf or hard-of-hearing. Signing is a necessary communication tool for those with lost or reduced hearing. But it is also an important skill for those who can hear. It bridges the gap between the two, offering the opportunity to both understand and share thoughts, words, and ambitions. Research is showing that children who learn the basic sign language skills (such as American Sign Language) of signing the alphabet can have improved spelling skills. Signing helps to give kids another tool for remembering spelling words and leaves a larger imprint on the brain. Our muscles have their own mini-memories, so when we add signing a word to orally spelling the word it is easier to remember. 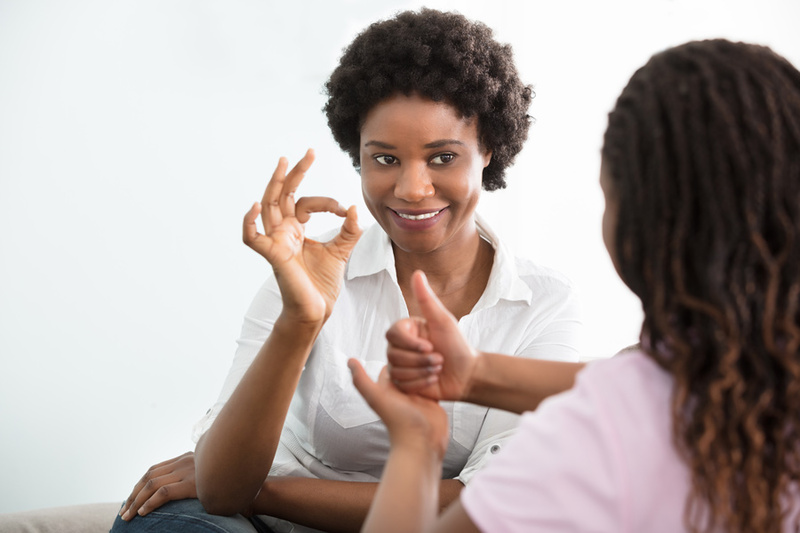 Some teachers who have incorporated sign language into their hearing classrooms are finding that they have better classroom management. Using signs for things such as toilet and question can reduce interruptions and help keep students on track during lectures. Sign language helps to develop small motor skills because of the dexterity required for communicating with hand gestures. Those who struggle with small muscle strength and coordination can build these skills as well as learn to communicate more efficiently with another language. When you think of “language” you might just think of your spoken native language, such as English. However, language involves many other aspects including body language, emotional language, and more. 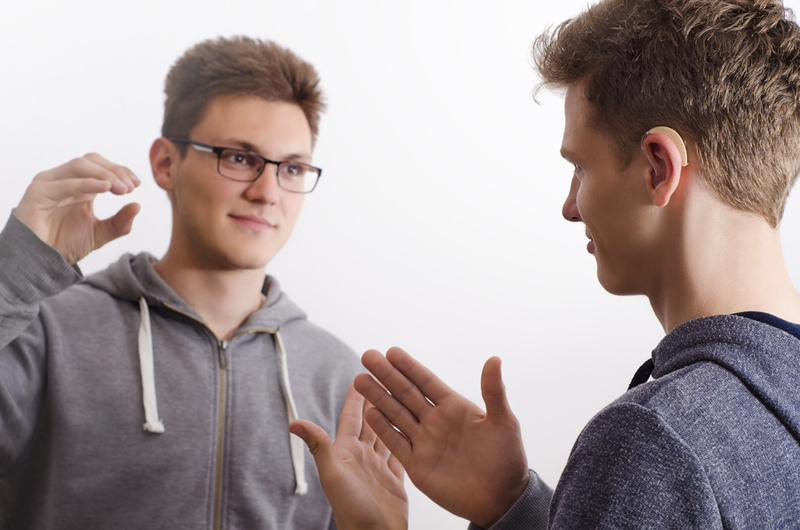 People who can sign have improved abilities to read general body language – an integral part of communication. More schools are teaching sign language, to the enrichment of both the student and teacher. Encourage your school or school district to have a sign language class for both students and parents who want to learn. Previous Post Custom Kits Created By You!